This That & Everything: America is about all things related to the United States of America. 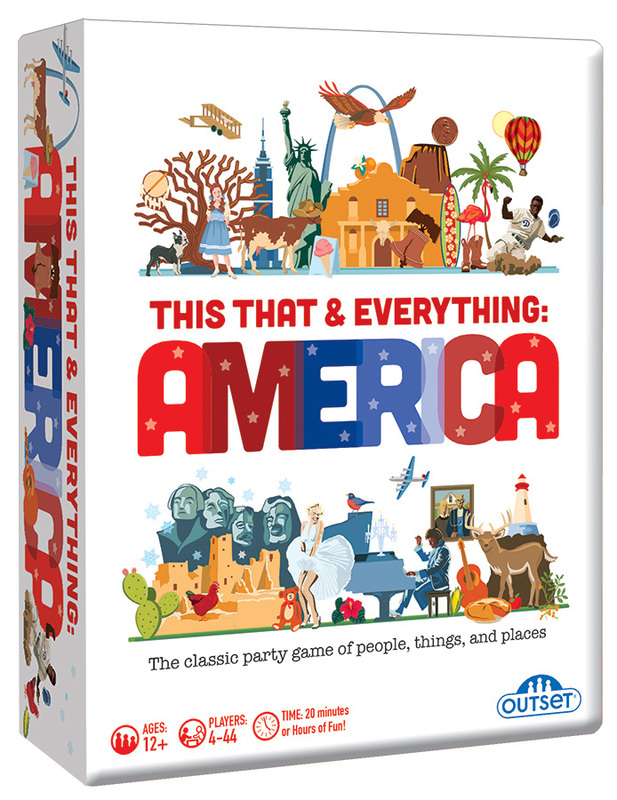 Players race to describe people, places and things related to America for their teammates to guess - in 30 seconds or less! Be prepared to guess things from Normal Rockwell to North Dakota! The game includes 100 double-sided cards with six subjects per card, a score pad, pencil, and 30-second sand timer. Yeehaw! Item # 10794 Weight 1.15 lbs.